Supershield® Conductive Elastomers are a group of high performance EMI gasket materials that provide an optimal combination of superior shielding effectiveness combined with excellent environmental sealing. Conductive elastomers are produced by dispersing conductive metal particles in an elastomer carrier (normally silicone or fluorosilicone) forming a homogenous gasket material with high conductivity. There are a range of conductive fillers and elastomer combinations that are suitable for virtually any application that may be encountered. All of our Supershield conductive elastomers materials are available in sheet form, from 0.3mm thick and generally to any size you require up to 380mm x 500mm. 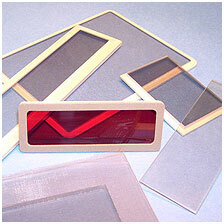 They are also available with a reinforced interlayer from 0.8mm thick. 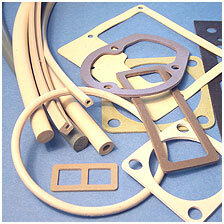 Gasket sections can be supplied in continuous lengths, cut lengths or joined to form gaskets. Gaskets produced in this way are joined by ‘vulcanising’, that is to say that a small piece of the original material is used to form the joint using heat and pressure producing a very high quality gasket. Extruded conductive elastomer profiles can be joined to form rings e.g. ‘o’ rings, picture frames (mitred joints) or more complex shapes. 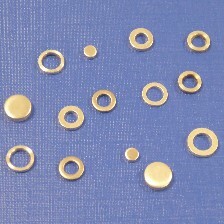 Hollow round sections are available with a 1.2mm (outside diameter) upwards in increments of 0.1mm. Please let us know if you have a special requirement. O-rings manufactured by either extruding and jointing or compression moulding. Shielding solutions can manufacture electrically conductive o-rings with an internal diameter as little as 10mm or possibly smaller. The o-rings are either jointed using vulcanising compound maintaining electrical connectivity, or they can be manufactured using compression moulding. The o-rings are available in all materials, fluorosilicone and silicone, and in all cross sections of extrusion. 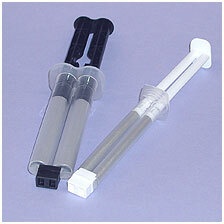 We can also manufacture bespoke moulded seals according to your requirements. Conductive elastomers may be moulded directly to form specific parts such as cable glands, complex gaskets, insert mouldings etc. Our range of conductive elastomers are available in uncured catalyzed compound. It can be supplied by the kg or lb and rolled into logs, tubs, or sheets as requested.